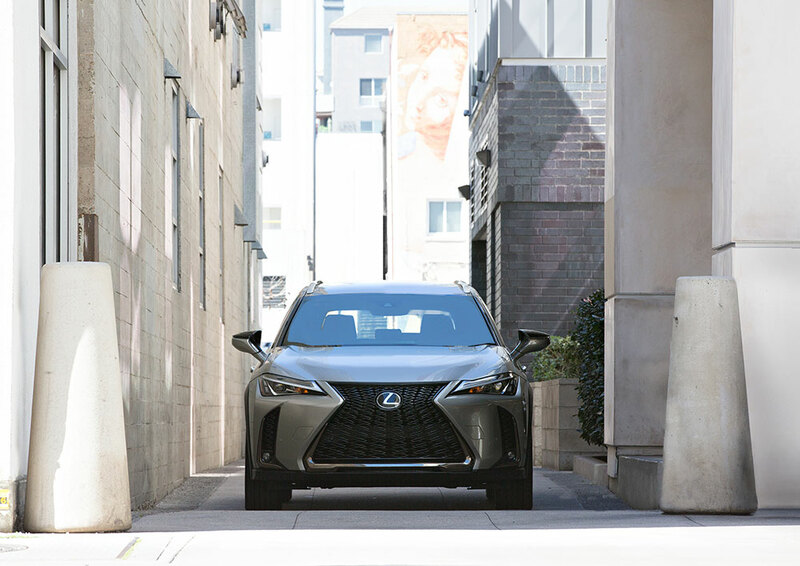 Challenging everything that came before it, the first-ever Lexus UX crossover juxtaposes bold urban style with unmistakable strength. 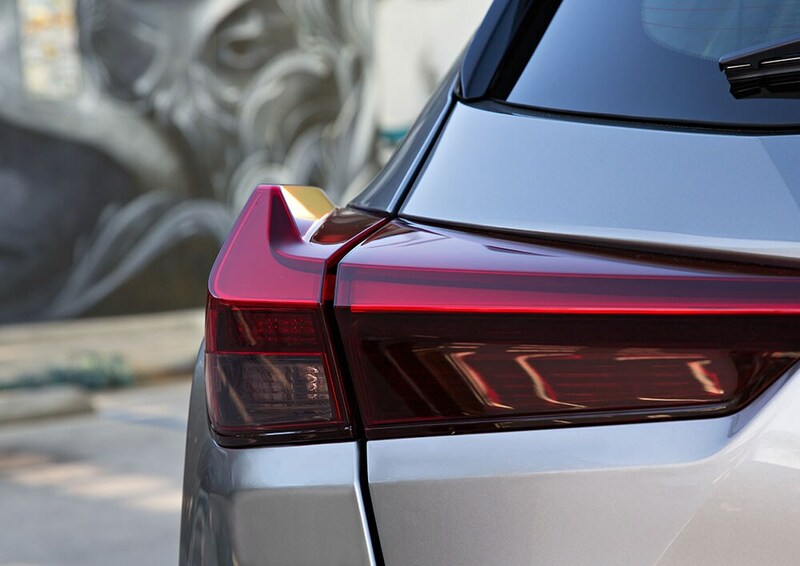 From its uniquely designed taillamp to a striking interior filled with intuitive technology, the UX is expressive from every angle. It also includes innovative connectivity that makes exploration even more seamless. Now you can start your engine remotely1 with your smartwatch, or start your favorite podcast in your kitchen and finish it on your drive to work with Amazon Alexa2 compatibility. While Apple CarPlay3 integration allows you to access the same familiar interface from your iPhone®4 on the multimedia display to enjoy your favorite apps like Spotify5. And with performance as dynamic as its design, the UX touts an all-new chassis and suspension, providing a low center of gravity for enhanced agility. In addition to a 169-horsepower6 gas model with a 10-speed Direct-Shift CVT, the UX is offered as a 181-horsepower6 hybrid model with all-wheel drive10, and more aggressive F SPORT versions of both. Offering exceptional efficiency, the UX and UX Hybrid boast city/highway/combined MPG estimates of 29/37/337 and 41/38/398 respectively. 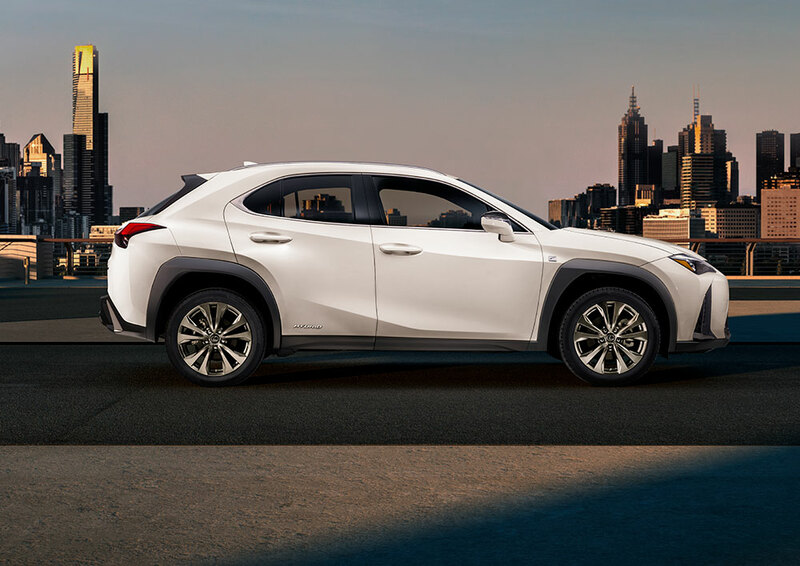 Starting at $32,0009 MSRP (UX 200) and $34,000 MSRP9 (UX 250h Hybrid), the Lexus UX arrives December 2018. Use only if aware of circumstances surrounding vehicle and it is legal and safe to do so (e.g., do not remotely start engine if vehicle is in an enclosed space or vehicle is occupied by a child). 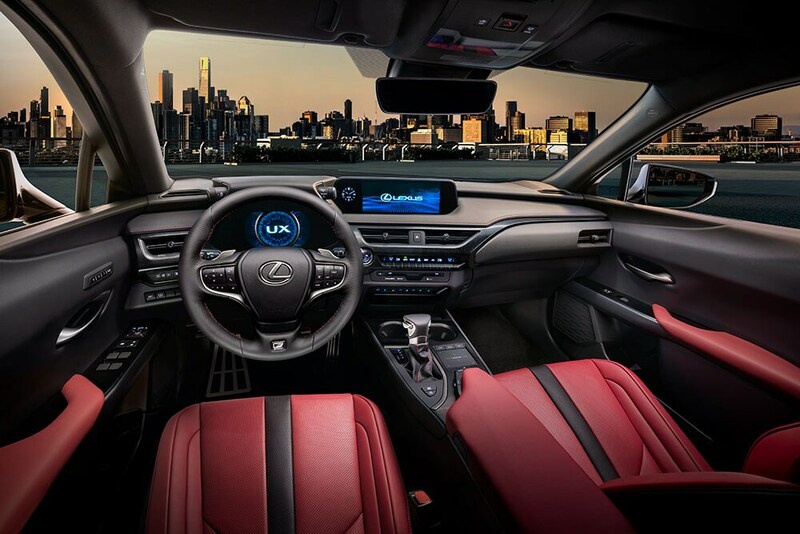 Remote Connect is dependent upon an operative telematics device, a cellular connection, navigation map data and GPS satellite signal reception, and other factors outside of Lexus' control, which can limit the ability or functionality of the system. Registration and app download are required. See usage precautions and service limitations in Owner's Manual. 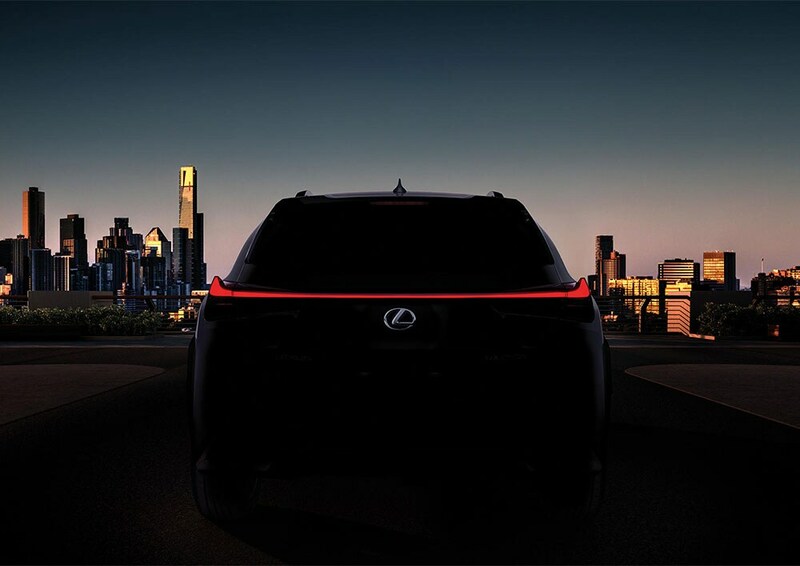 To learn about Lexus Enform's data collection, use, sharing and retention, please visit https://www.lexus.com/privacyvts/. Amazon, Alexa and all related logos are trademarks of Amazon.com, Inc. or its affiliates. Certain Alexa functionality is dependent on smart home technology. Not all Amazon Alexa skills are available for in-vehicle use. Always drive safely and obey traffic laws. Apps, prices and services vary by phone carrier and are subject to change at any time without notice. Subject to smartphone connectivity and capability. Data charges may apply. Apple CarPlay is a trademark of Apple Inc. All rights reserved. Always drive safely and obey traffic laws. Apps, prices and services vary by phone carrier and are subject to change at any time without notice. Subject to smartphone connectivity and capability. Data charges may apply. iPhone is a registered trademark of Apple Inc. All rights reserved. Spotify is a registered trademark of Spotify Technology Holding. Apps, prices and services vary by phone carrier and are subject to change at any time without notice. Subject to smartphone connectivity and capability. Data charges may apply. Ratings achieved using premium unleaded gasoline with an octane rating of 91 or higher. If premium fuel is not used, performance will decrease. 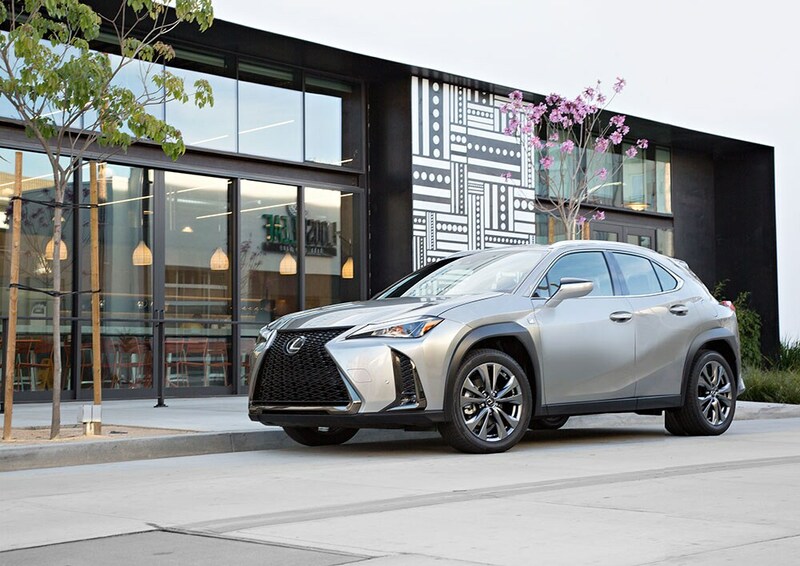 2019 Lexus UX 200 preliminary 29/city, 37/hwy, 33/comb mpg estimates determined by Lexus. EPA estimates not available at time of publishing. Actual mileage will vary. 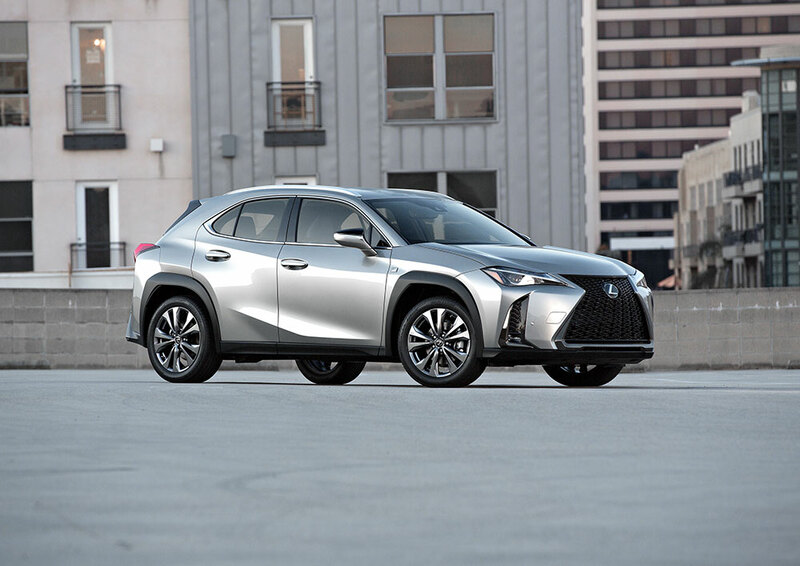 2019 Lexus UX 250h (AWD) preliminary 41/city, 38/hwy, 39/comb mpg estimates determined by Lexus. EPA estimates not available at time of publishing. Actual mileage will vary. 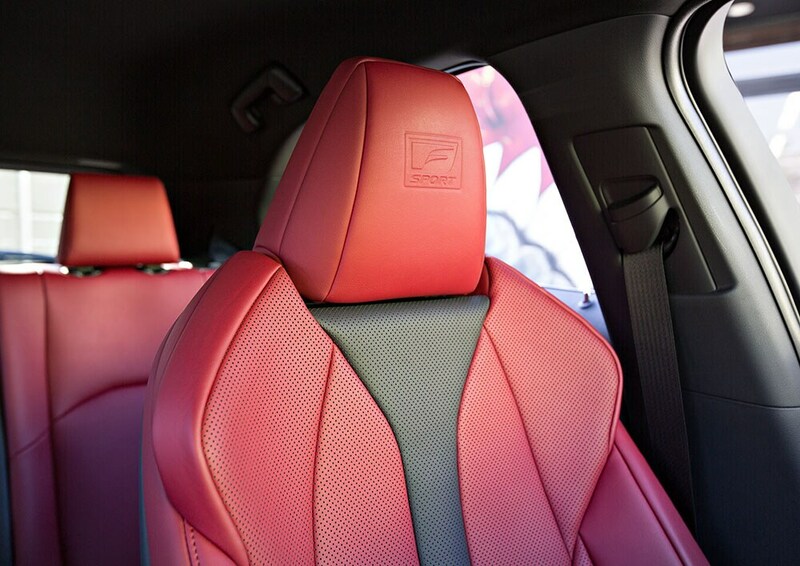 MSRP excludes delivery, processing and handling fee of $1,025, which may be subject to change at any time. Excludes taxes, title, license and optional equipment. Dealer price will vary. 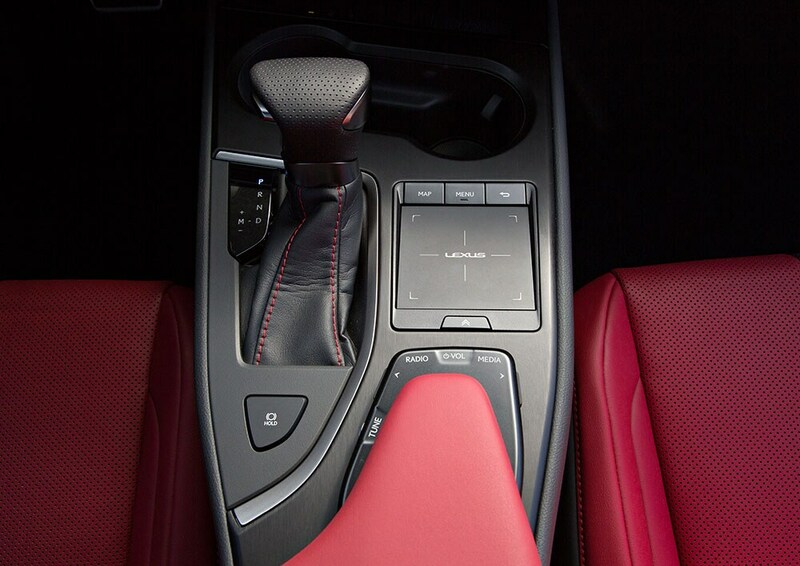 The UX AWD system only operates at speeds of up to 43 mph.